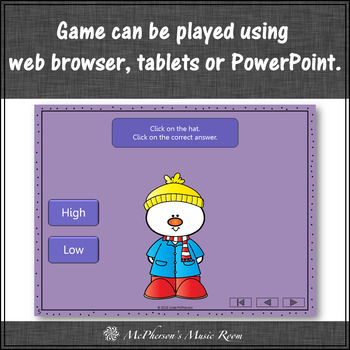 Looking for high low activities to add to your elementary music lesson plans? 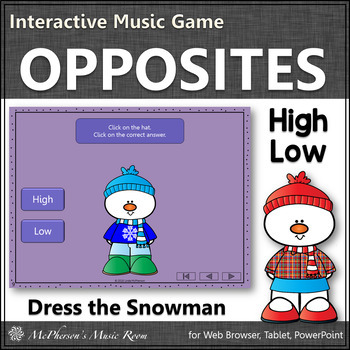 Aurally identifying the music opposite high or low has just become fun and exciting with this digital resource via tablets or on your internet browser! It is perfect to use in the winter or anytime you are working on melodic direction. Excellent for whole group instruction, music centers or your music sub tub!